The Angel of Death is dead, but his spirit of vengeance lives on in his war-hero son, back to get revenge on the Chicago Outfit—again. We’re now in the middle stretch of the trilogy that Collins spun out of his 1998 graphic novel, Road to Perdition (dourly filmed four years later by Sam Mendes, with Tom Hanks and Paul Newman), then wrote into a novelization. 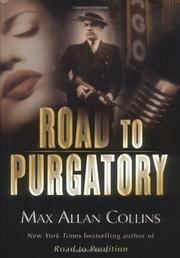 With this sequel (to be concluded, we’re told, with Road to Paradise), Collins extends the story of the O’Sullivan clan, previously decimated by mob warfare and now represented only by Michael O’Sullivan, adopted and given the last name Satariano, and still remembering what Capone’s henchmen did to his family. Michael grew up to be just as much a stone-cold killer as his old man, as proven in the story’s bloody introduction, set on Bataan, where Michael guns down a division’s worth of Japanese soldiers. He loses an eye but gains a Medal of Honor and honorable discharge back to the states, where he doesn’t lose any time getting into the mix. Papa Satariano gets him a meeting with Capone’s right-hand man, Frank Nitti, who welcomes the very useful Michael into the belly of the Outfit. Simultaneously, Michael is supposed to be doing his civic duty, as laid out for him during a meeting with Eliot Ness—star of a series of pulp novels that Collins wrote some years ago—who wants help breaking up the Outfit led by Capone from his Florida mansion. A long flashback fills in background on Michael’s family origins back in Rock Island, and it’s a pleasant relief from Collins’s tiresome way, elsewhere, of imagining Michael as a rock-jawed, two-dimensional caricature. Collins clearly wants to be Mickey Spillane, and there’s plenty of blazing .45 action to satisfy lovers of that sort of thing. But without the robotic Michael possessing a single human emotion, it’s hard to care much what happens.